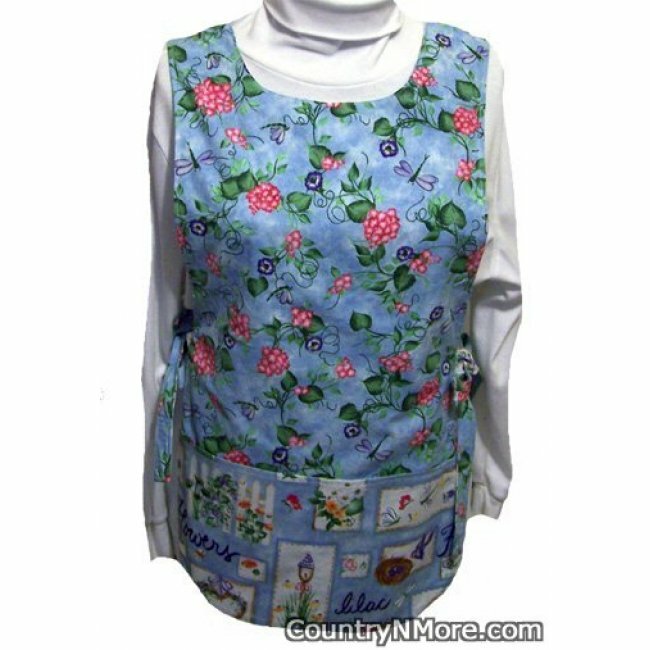 This apron is a medium size. The beautiful pink gardenias and lavender dragonflies are spread throughout this handmade cobbler apron. The pockets and straps of the apron are made from coordinating lilac, bird, bird nest, and nature print. 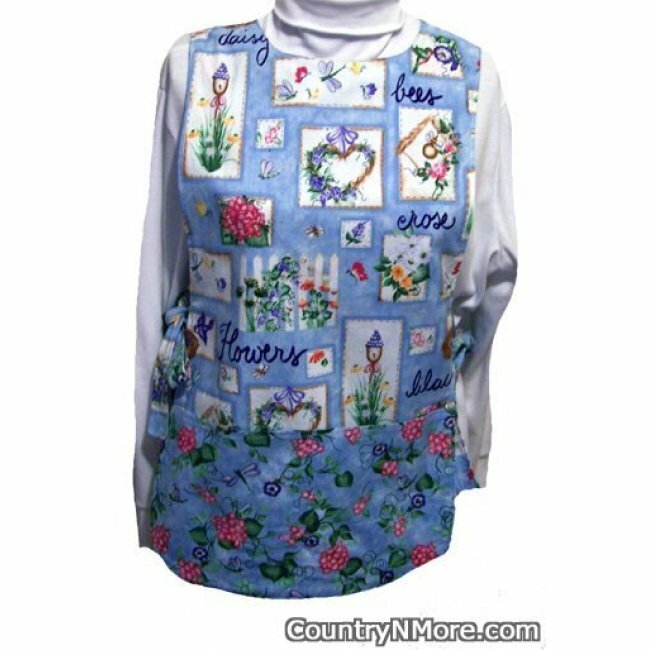 The reverse side of the cobbler apron has birds, bird nest, bees, lilacs, bird houses, lilacs, and grapevine wreaths, with coordinating print for the pockets and straps.